I've moved to Düsseldorf! This website will no longer be updated. Follow me this way. 2015-to date Postdoctoral Researcher in the Probability Group, lead by Prof. Anton Bovier. Universität Bonn. 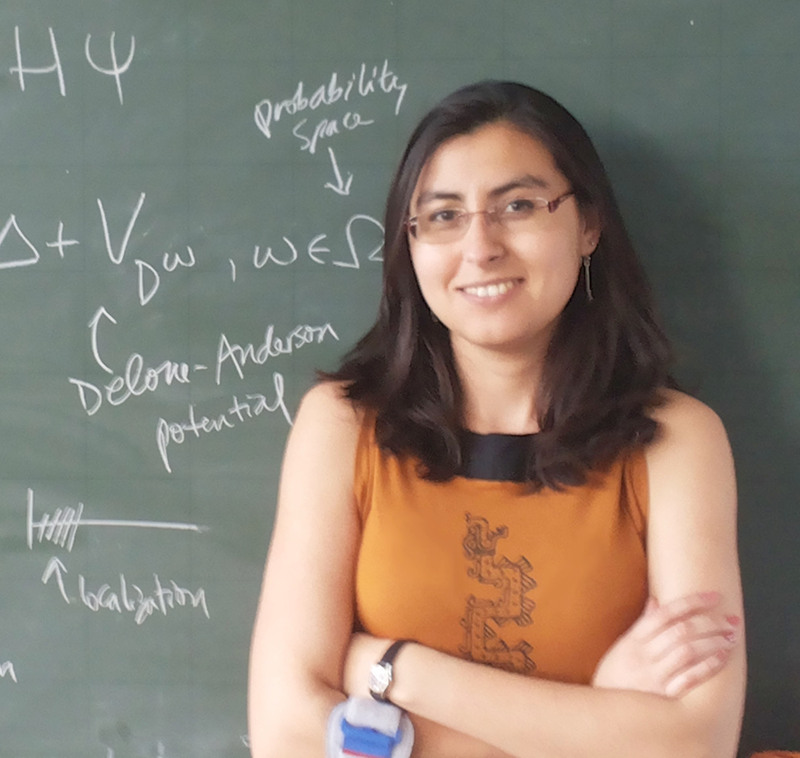 2013-2015 Marie Curie (IEF) Postdoctoral Fellow in the Analysis group, working with Prof. Peter Müller. Mathematisches Institut, Ludwig-Maximilians-Universität München, Germany. Visiting researcher. CAMTP-University of Maribor, Slovenia. Postdoctoral researcher. Institute Mittag-Leffler, Sweden. 2008-2012 PhD student - Teaching assistant, Mathematics Department. Université de Cergy-Pontoise, France. 2016, November 7-19: Course on Random Schrödinger Operators at the CIMPA School on Spectral Theory on Graphs and Manifolds, Kairouan, Tunisia. 2016, October 4-8: "The Mathematics of Disorder" : a Young Women Academy (4-6 October) followed by the workshop Young Women in Probability and Analysis (6-8 October), at the Institute for Applied Mathematics, University of Bonn, Germany. 2014, March 12. Journée Thématique "Electrons in quantum disordered media" at the Mathematics Department, Université de Cergy-Pontoise, France. Organizers: F. Germinet, P. Müller, C. Rojas-Molina.